It has been recently disclosed that US-based investment firm Vanguard had invested $50 Mn in Cab hailing app Ola in December 2015. At that time, the share value per share was $40,885. 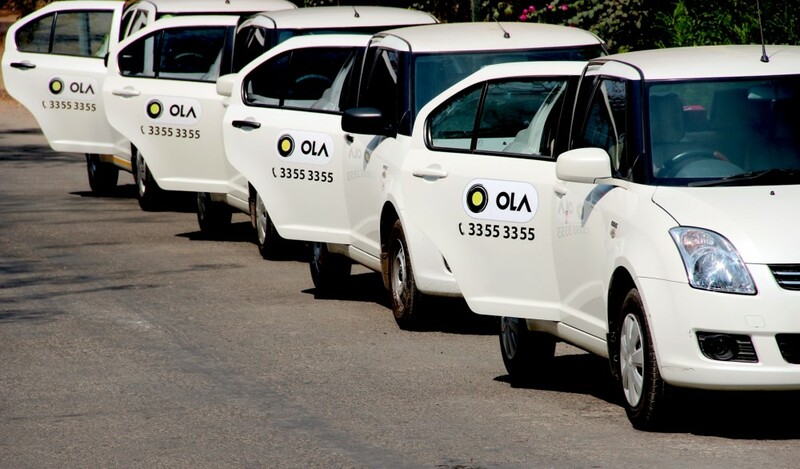 According to recent filings of Vanguard with the US Securities and Exchange Commission (SEC), Ola witnessed a surge in its valuation as the share value per share was listed at $41,577. This takes Ola’s valuation to $4.2 Bn. Vanguard is an investment management company headquartered in Valley Forge, Pennsylvania. As of June 30, 2016, Vanguard managed more than $3.6 Tn in global assets. It offers more than 350 funds to more than 20 million investors worldwide. It is also an investor in Indian ecommerce giant Flipkart. The development has come to light at a time when, just earlier this week, Ola’s arch nemesis Uber surrendered its Chinese market. Struggling to keep up with the competition in the Chinese taxi market, Uber Technologies Inc. decided to sell its China business to rival Didi Chuxing. Didi Chuxing is the dominant ride-hailing service in the country. Founded by Bhavish Aggarwal and Ankit Bhati, Ola has cumulatively raised $1.25 Bn from investors such as Tiger Global, DST and Softbank among others. Also in November 2015, Ola raised $500 Mn in its Series F funding round at a valuation of $5 Bn. Baillie Gifford, Falcon Edge Capital, Tiger Global, SoftBank Group, DST Global and Didi Kuaidi participated in this round of funding. The war between Uber and Ola to acquire highest market share has been getting murkier by the day. Earlier in June 2016, reports surfaced that Ola was in talks with its existing and new investors to raise $300-400 Mn this year. With Uber increasing its share from a mere 5% a year ago to 40% in early January, things became tough for Ola. Also, in March, Uber filed a lawsuit against Ola alleging that its employees and agents were making false bookings on the Uber app, in a complaint filed at Delhi High Court. At the same time, high cash burn rate forced Ola to consolidate its businesses resulting in the shutdown of OlaStore and OlaCafe and focus on its core business. Also, there rose a need to revise its product strategies and regain lost market share to reduce losses and make grounds for next funding. Then in June, Uber announced that it was pumping in $6.4 Mn in its cab leasing partner Xchange Leasing to strengthen its supply. While claims from both Ola and Uber about their market share are a bag of contradictions, call data released by Swedish Firm TrueCaller, in May 2016 revealed more calls being made between Ola and its riders, as compared to Uber in the first four months of 2016. The findings, however, were not a conclusive parameter to derive the exact percentage of Ola and Uber’s market shares. On the other hand, the cab aggregators have been facing challenges from state governments, for high pricing. After being pulled up by the Delhi and Karnataka Government on surge pricing issues, Ola and Uber were framed by the Indian Road Ministry, in July 2016, on fare calculation. Both the companies have been asked to start charging fares by taxi metres and not GPS. As stated, this is in violation of the Motor Vehicles Act and the distance measured through GPS are often inaccurate. Both the aggregators also had to face flak in their bid to disrupt the bike-as-a-taxi service market in India. Within a day of their respective launches, they faced law infringement notice from the Karnataka State Transport Department for violating the Motor Vehicles Act and continuing to operate without requisite permission. Ola has users across 102 cities, with over 350K cabs and 100K auto-rickshaws and taxis, while Uber is only available in 27 Indian cities. Ola has also introduced a range of shared mobility services on its platform like Ola Shuttle and Ola Share for commute and ride-sharing respectively. The initial development was reported by Financial Express.